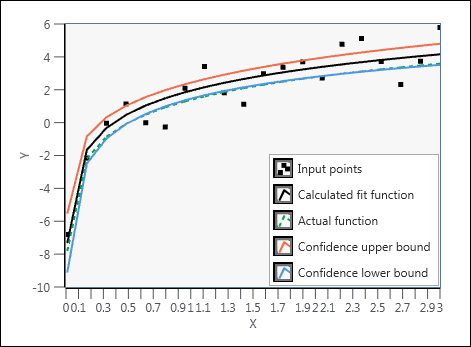 Calculates the confidence interval of the best logarithmic fit for an input data set. If the noise of y is Gaussian-distributed, you must fit the observations with the Curve Fitting (Logarithm) node using the least square method to obtain the amplitude and scale. Confidence radius of the scale of the fitted model.